I’ve neglected my videos of late and managed to get today off from work so I’ve just made a the latest in the series. You can go to my book pages to see the videos so far created for The Staff of Naught and the Staff of Sakatha. Here is the direct link to the video about Jon Gray the main protagonist from the Staff of Sakatha. I’ve finished my first run through the working draft of my second novel, The Staff of Sakatha. The story largely takes place in the free nation of Elekargul as Jon Gray from Tanelorn visits the freeriders. 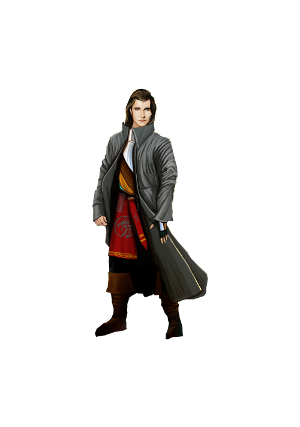 He hopes to obtain the Staff of Sakatha for his father, the Gray Lord, in far off Tanelorn. I’ve also commissioned a friend of mine and an incredible artist, Den Dotson, to do the cover page for me. Finally, my stalwart proofeader, mom, is ready to take red pencil to hand and find all my mistakes so that I can avoid publishing a novel with many typos. Thanks mom!